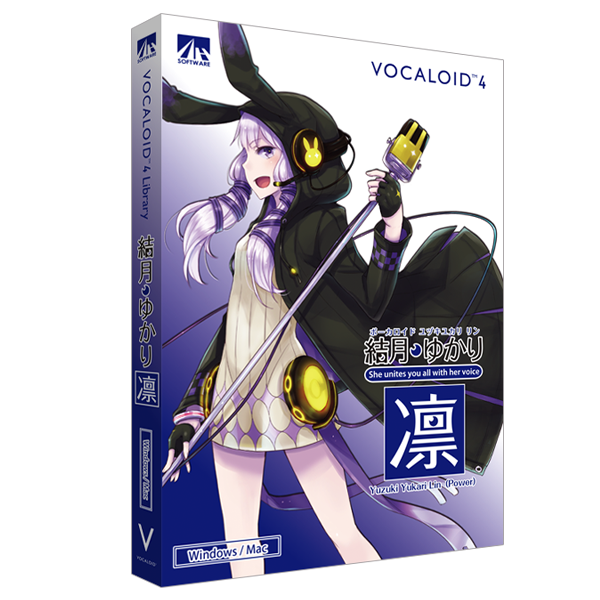 VOCALOID4 Yuzuki Yukari Lin sings high notes with power. VOCALOID4 Yuzuki Yukari Lin sings high notes with power. Its sharp and clear voice matches high-tempo music like rock and techno. Her name "Yukari" means a connection of people. She was named in the hope that she would unite people who love music with her voice. Her symbol is the moon. Her character was designed by Jyuu Ayakura, a very famous illustrator, who has lots of both male and female fans. VOCALOMAKETS Powered by Bumpy Factory Corporation. Copyright(C)2015 VOCALOMAKETS Powered by Bumpy Factory Corporation.